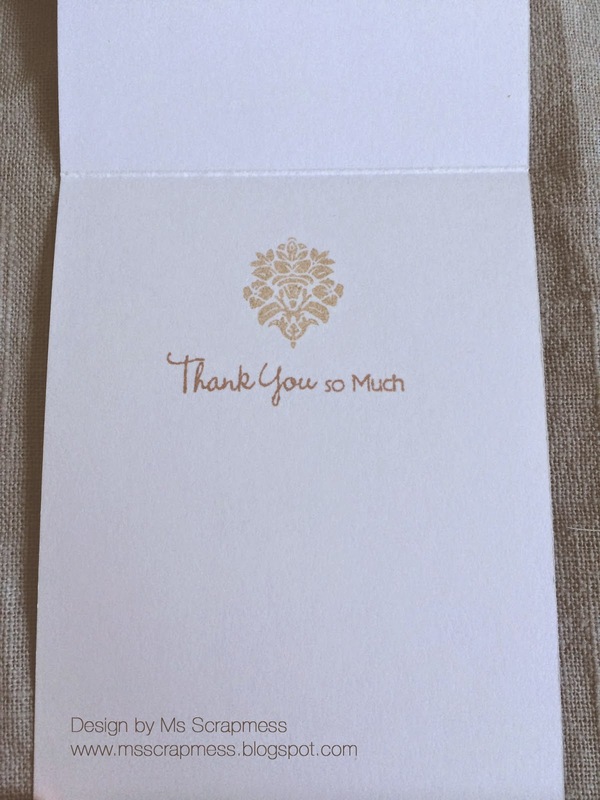 I'm here with a simple thank you card for The Rubber Buggy. 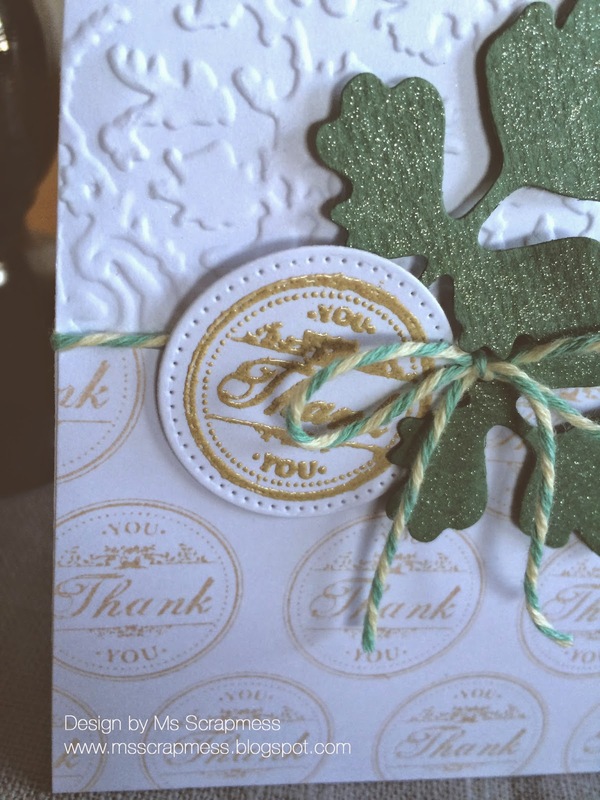 This card was put together super fast and I'm really liking the paper I made by stamping the greeting over and over again - don't know why I haven't thought of that before? I have also dry embossed a piece of paper for background. 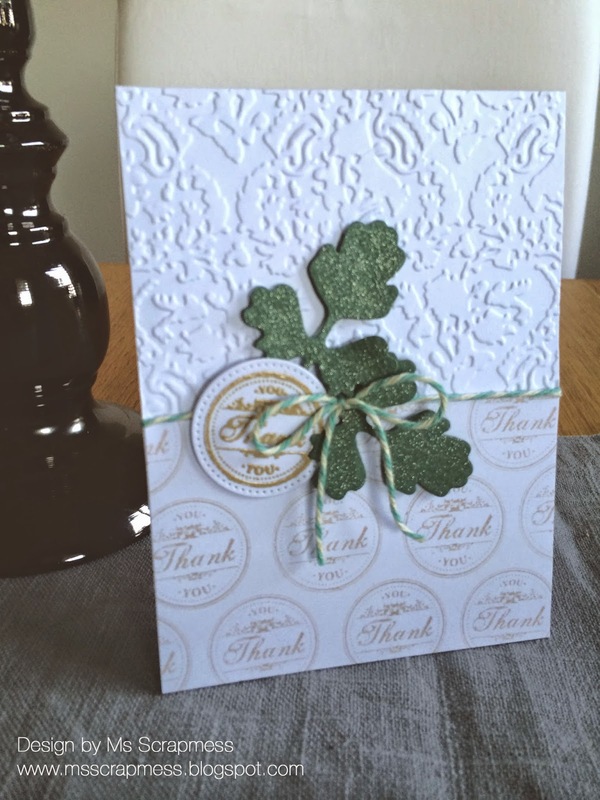 I have used Tim Holtz alterations folder (damask), but there is a beautiful embossing folder in TRB store and it measures 6x6, just perfect to fit your larger cards as well. I have again hidden the edge between the two papers with twine. As I did this card in the evening and the light was very poor I now see in broad daylight that I should have picked another color - but that's ok. Kellie has a lot of wonderful twine in the store and I do recommend the seafoam, which is one of my favorites. Like I said, this card came togheter super fast so after I'd mounted the backgrounds and the twine on to my card base, I die cut two leaves from the foliage set (I used wink of stella glitter, but there is shimmer sprays and perfect pearls in the store you also can use) and die cut the embossed the greeting to pop up on the card.